Some time ago, I received a few requests for ideas for the older crowd looking for a fun date night. So I culled my list of all the kid-related stuff, and pulled out some of the ones that were best for a date night... Just a few ideas. Maybe 15. And then I kept getting comments asking where the rest of the 50 ideas were. Wait, I thought, this isn't the Top 50 list, this is date night ideas... My top 50 list is here. But after enough people made comments, I finally hunkered down and put together a list of 50 date night ideas. So here is the last page - with Austin's Top 50 date nights listed. Enjoy! And please feel free to email me with any additional date night ideas for Austin, as well. Most people don’t know that the UT astronomy department hosts regular star parties. 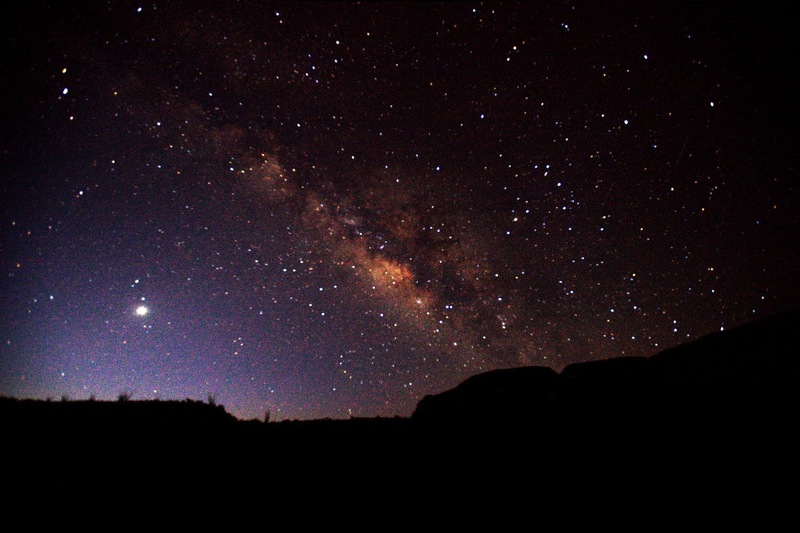 A star party is a two-hour period where anyone can come to the roof of RLM (one of the tallest buildings on campus) and look through the telescopes. You’ll get a great nighttime view of UT campus. Located on Fourth street downtown, Halycon is a great combination of coffeehouse, bar and live music venue. If you love coffee, love drinks - or both (Coffee long island, anyone? ), this place is perfect. Try out the S'Mores complete with a small fire to roast your own marshmallows. Or check out the attached cigar shop. This is a great place to start off, or end up your night! I have not tried this yet, but I really want to! Come experience the finest escape room entertainment where your puzzle solving skills will be tested to the max and teamwork is forged by a common goal: to escape the room! You and your team will have 60 minutes to solve a series of puzzles using your wits, deduction skills, and clues found throughout the rooms in order to escape the room before time runs out. With two equally unique and challenging scenarios that change every six months, there is always an opportunity for you and your team to visit us. The Austin Panic Room offers a unique opportunity for people of all ages to enjoy a logical challenge in a team setting. In addition to being downright beautiful, the Pennybacker Bridge is iconic Austin. This 600 ton bridge was built in Japan and spans over 1,000 feet. The hike begins on the western side of 360 and offers beautiful scenes of downtown Austin. If you are looking for a fun place to get some drinks, this place is perfect! It has a quiet, cozy, speakeasy atmosphere that can't be beat. And the prohibition-era drinks will make you feel like you've stepped back in time. But the true charm of this place greets you when you enter the hostel. After walking in, you will see a small room with a hotel desk, and a book case. I know what you are thinking: Barton Springs is great for a family outing, but for a date night? Really? Actually, after the sub goes down, the pool gets a whole different vibe. Everything seems a little muted, and the crowd gets older. And when the moon comes out, it can be downright romantic. Bring some swimsuits and an towel and prepare for a fun, quiet night! $3 entry per person. Parking is $10 per car on weekends. Established in 1991, Capital Cruises is the largest all-electric boat fleet on the Highland Lakes. Nestled on the shores of beautiful Lady Bird Lake (formerly Town Lake) at the Hyatt Regency Hotel, they offer lunch and dinner cruises, bat-watching excursions and more. The Hope Outdoor Gallery (aka the Austin Graffiti Park) is a is a three-story educational art project located at 11th & Baylor Streets in Austin – one of the largest outdoor galleries in the USA. This project was developed to provide muralists, graffiti artists and community groups the opportunity to display large scale art pieces driven by inspirational, positive and educational messaging. In addition, the project activates and beautifies a dynamic yet underutilized space with a great view of Austin! The project was officially launched by the HOPE Campaign in March 2011 with the support of Shepard Fairey and Obey Giant Art. Looking to entertain someone who loves the arts? Third Thursdays at the Blanton is a free, monthly themed event that features extended hours (until 9 PM). Multiple programs include Yoga in the Galleries, tours, and other offerings. Programs are included with admission and are free to members, unless noted. Thursdays are always free at The Blanton. 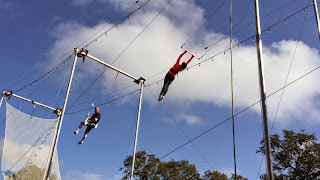 Experience the extraordinary physical exhilaration of flying on the trapeze. 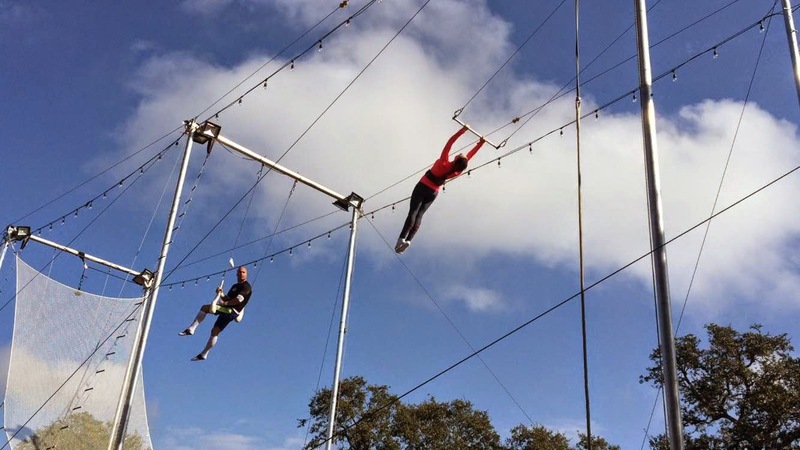 Trapeze Austin offers 1 and 2 hour classes that will teach you the basics of the art of the flying trapeze. During the beginner-friendly lessons, students get a ground-lesson and then spend most of the class flying through the air. There’s even an opportunity to be caught in mid-air in the 2-hour lessons. America’s largest interactive murder mystery comedy dinner show! Solve a hilarious murder case while you feast on a fantastic four-course plated dinner. Just beware! The killer is hiding somewhere in the room, and you may find yourself as a prime suspect! The Dinner Detective Murder Mystery Dinner Show performs Saturday nights at the Residence Inn on 4th Street. Tickets are $60 per person and include a four course sit-down dinner including appetizers, salad, entree and dessert, beverages, interactive murder mystery show, prizes for Top Sleuth, wait staff gratuity and much more!